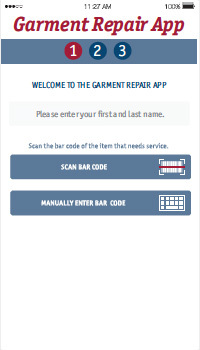 A smartphone app that both your wearers and your Customer Service Representatives can download and use to flag garments for repair by scanning the bar code on the garment. 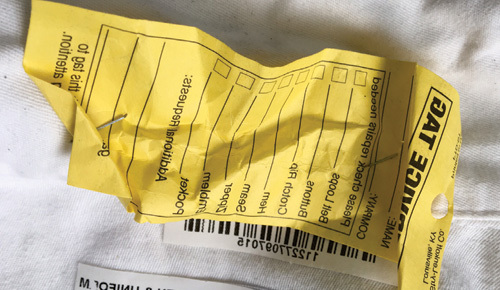 Quicker and easier than filling out a yellow tag and stapling it to the garment. 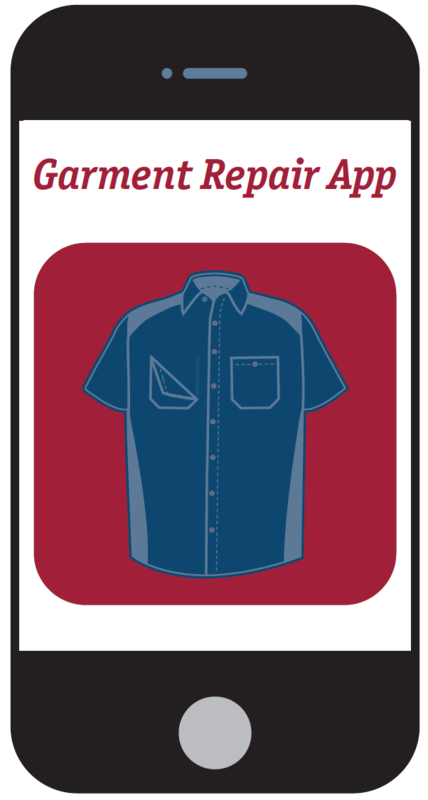 In less than a minute your customer can help you provide better service by telling you about any repair their garment needs. The screens are customizable with your logo, images and marketing messages. You can even trademark your name for your app. Customers will really love your high tech, paperless solution to one of the industries biggest issues. No more yellow tags that you can’t read. No more yellow tags that fall off in the wash. Here are the 3 quick and easy steps your wearer or Customer Service Representative will use in your own Garment Repair App. Customer doesn’t have an iPhone or Android smartphone? 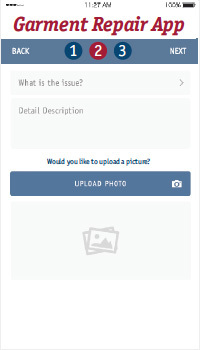 Your customer can set the garments aside and your Customer Service Representative can use the app on their phone for them. 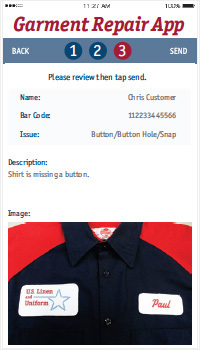 Contact us today to license your easy to use Garment Repair App. We customize it and upload it to Apple’s App Store and Google’s Play Store for you. 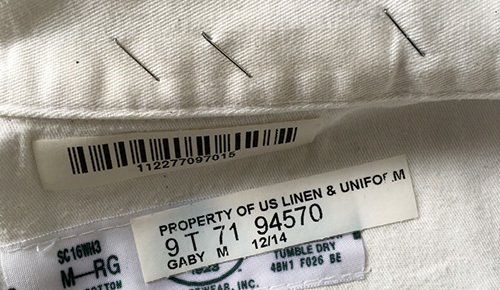 Use this bar code for the Garment Repair App. 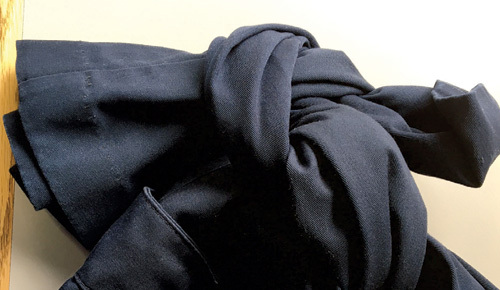 © 2016 U.S. Linen & Uniform. All rights reserved. A division of U.S. Linen & Uniform.